Don't ya just loovvvee ❤️ warm, super moist muffins straight out of the oven?! Oh boy, I sure do! 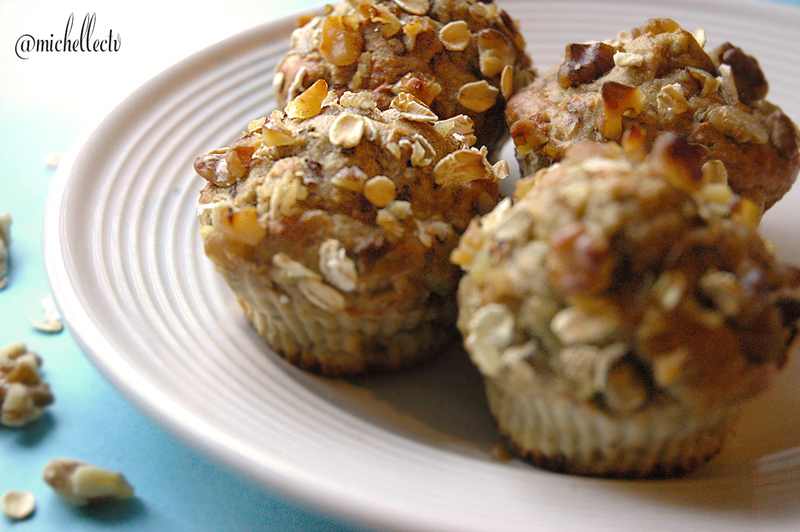 Today, I'll share with you my adaptation of a simple guilt-free and gluten-free muffin recipe. It's quick and easy-to-bake, with just a few main ingredients. 1. Preheat oven to 400°F and grease or line muffin tin. 2. Combine all ingredients in a blender or food processor and blend until smooth. 3. Divide batter among a dozen muffin cups. Top each one with chopped walnuts and rolled oats. 4. Bake for 18 - 20 minutes or until inserted toothpick (or knife) removed from the center of the muffin comes out clean. Amazing posts! Food pics delicious looking. Makes we want to make and eat them immediately! It is obviously a delicious food.It is also beneficial for our health. It increases our nutritional power.So that we can safe our body from undernutrition. I will wait for your upcoming post. @Resteem & follow has dne. The food looks very beautiful. I like to eat too much, I think. Thanks for sharing a nice meal recipe. waiting for your next blog. I agree with you. We have good health while eating fruits. If the person is healthy, then the mind is also good. @michellectv It looks delicious, indeed!! And nice plating and nice click!! Well, not table sugar but a bit of maple syrup or honey as a sweetener. And yes, I noticed how much you enjoyed munching on my muffins. They disappeared quickly! OMG That looks sooo good and soo colourful!! I really am starving now for that! yummy!!!!! These look amazing and healthy too! Thanks for sharing! The Greek Gods would die for Greek Yogurt. I'm Oatmeal. Liked. Shared. Upvoted. Resteemed. I love strawberries so much, I will surely try your recipe. 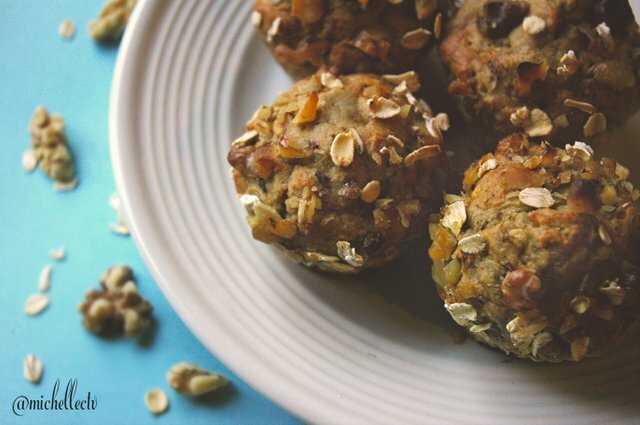 Muffins are easy-to-make and hard to resist. Thanks for stopping by! Its so Delicious. It has great health benefits. Thanks for sharing. Have a nice week end. These are amazing! I have never seen a strawberry beet recipe before! Thank you for sharing this, I am looking to broaden my horizons with foods! I am huge into healthy foods!! Oh dam that Italian smoothie! Its just too attractive and can't think of anything at this very moment. It feels very smooth after looking at it, must be mouth watering and tasty! 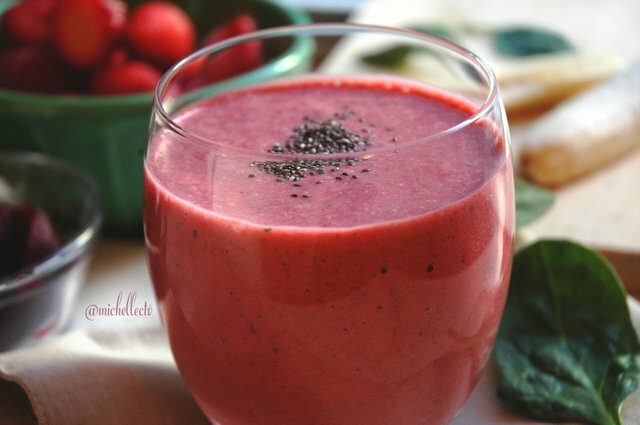 It's funny how seductive a smoothie can be! the recepi are simple with easy to find ingredient too.. This looks extremely good, I want them all !!!! (nom nom nom).... Ate 'em all. I like it for sure, it looks absolutely deliciuos! i am not very good cooking but my wife has a gift.. hehe.. So we will try it. Thanks!! @michellectv I often make a similar dish, but I add a bit of coco powder to it. Doesn't add many calories at all, yet tastes amazing! I like strawberries too! 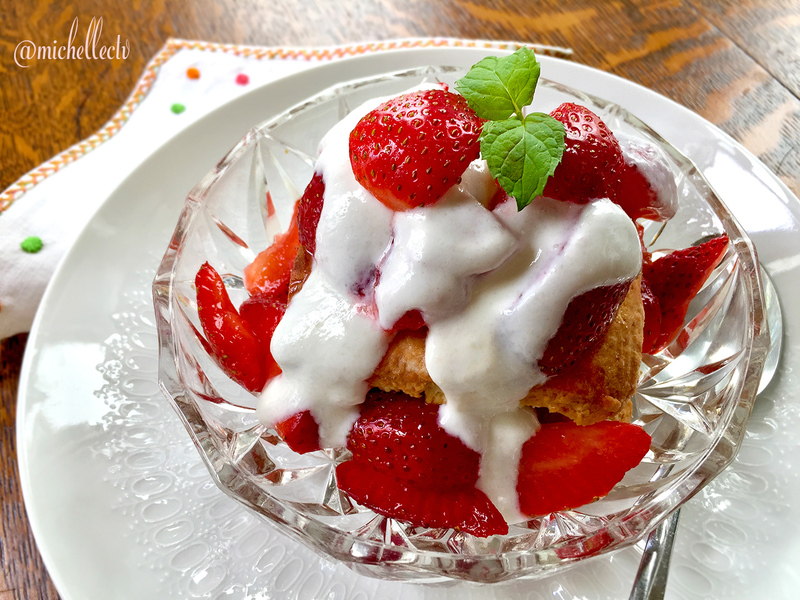 So nice with tangy Greek yogurt! So Yummy and tasty i just feel hungry, superb, i am following you for your amazing post. Hello Michelle... i would like to share to you my specialty... https://steemit.com/food/@bgie8311/spare-ribs-soup-tinola-a-filipino-soup . I hope you like it. This is best when prepared during winter. Sounds like a nice, warming, spicy soup! Perfect for our cold winters here ; ) Thank you! Nice photos, and amazing recipe of course hehe, look´s delecious. It was! Everyone gobbled them up! And you didn't save me Jejejejeje to try them out. Omg this looks absolutely yummy! I have been trying to eat healthier and I love bananas so this will be a great addition to my go-to list of healthy recipes. Thanks so much for sharing! You're very welcome! This is perfect for when you have a couple of bananas that are going bad but not enough to make traditional banana bread. Enjoy! I used to bake when I ate wheat/flour. The only time I eat flour now is pizza which is not that often. The gluten free breads that I have tried are not that good. Your muffins look really good, so I'll be trying out the recipe. Thx! I actually purchased a set of silicon cupcake liners that you used for the DIY peanut butter chocolate cups the other month. I haven't made those, but I might be able to use them for this recipe. The bread machines are actually very affordable and they are easy to use. Dump everything in and press a button. 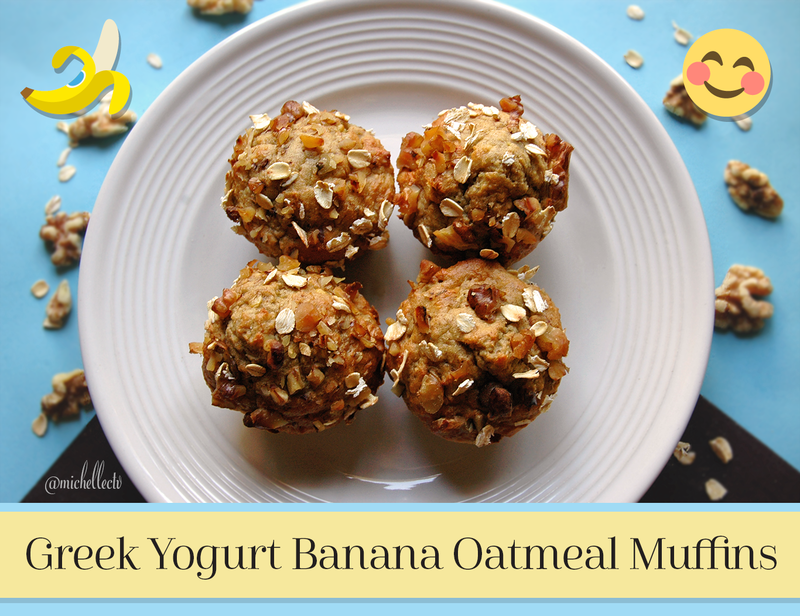 I'll let you know when I make these muffins, I have most of the ingredients, just need ripe banana's! I love this. Ama make you my wife to have it all the time. You don't need a wife, you got the recipe for free! Yes, tangy yogurt pairs well with sweet! Wouw delicious! Thank you for you're post!! I swear, Nigerians will LOVE this. Sweet food, sweet life! Enjoy! its loooks very testy .. isnt. it...! Thank you for participating in #foodphotography, the weekly selection will be released on Tuesday.